Are you sick of thinking about what you'd like to do, but still find yourself back in the same workplace every Monday? Or are you unsure what to do but you know it’s not what you’re doing now? Maybe you're just bored and need a change? Have you answered yes? Then you’re ready for a Career Redesign. Gives you a plan to start taking action now. Individual attention in a supportive, non-threatening environment with like-minded people. The workshop size is kept to a maximum of 16 participants. Experienced facilitator and career author, Maria Simonelli, takes you through an expertly conceived process designed to help you deepen your understanding of yourself, then build on ideas and options from there. She’ll also look at how to get past common blocks and challenges and pack the workshop with advice on how to get going, create opportunity and open doors to create that Sweet Spot Career. 5% of profits will go towards Kiva http://www.kiva.org Kiva lenders combat poverty by making small loans to borrowers around the world. 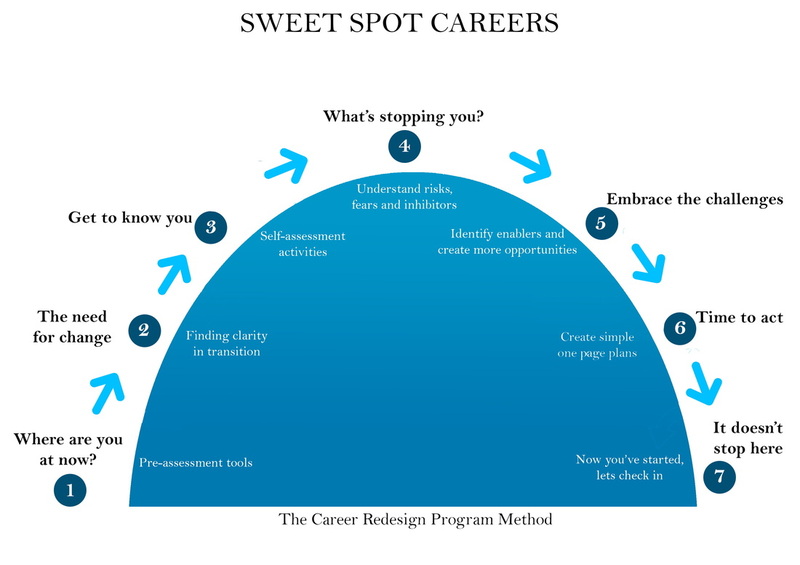 The program creator believes everybody deserves a chance to create a life improving career.